Hello Everyone! I did this tutorial for Riley Blake’s blog and wanted to share it with you guys. 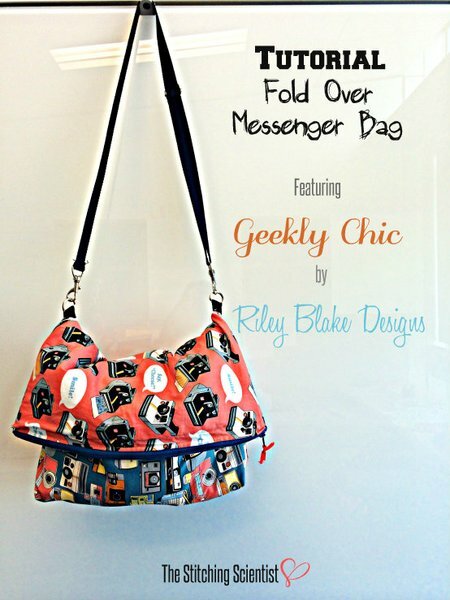 This is a super simple versatile geeky fold over messenger bag. 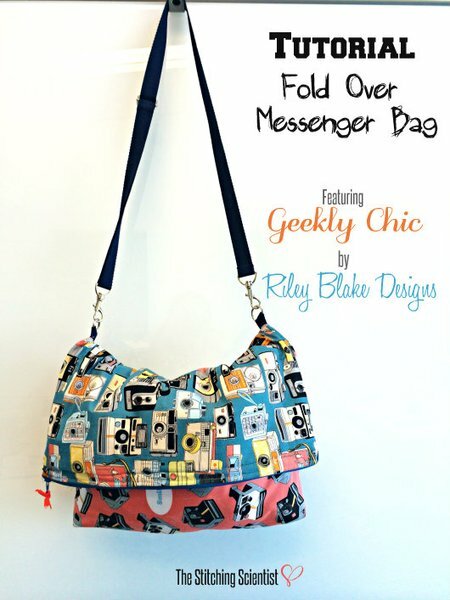 This bag features fabrics from the stunning Geekly Chic fabric line. This line fits me perfectly as I am a geek that likes to sew:-). 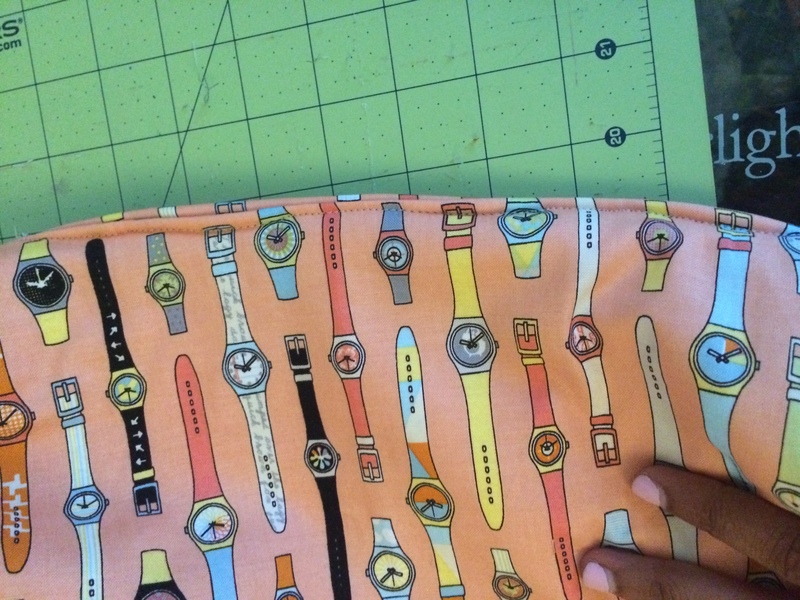 This bag follows a very simple pattern similar to a lined purse. It is accented by a bright colored zipper and canvas straps. Believe it or not, I actually bought this strap at the local thrift store. 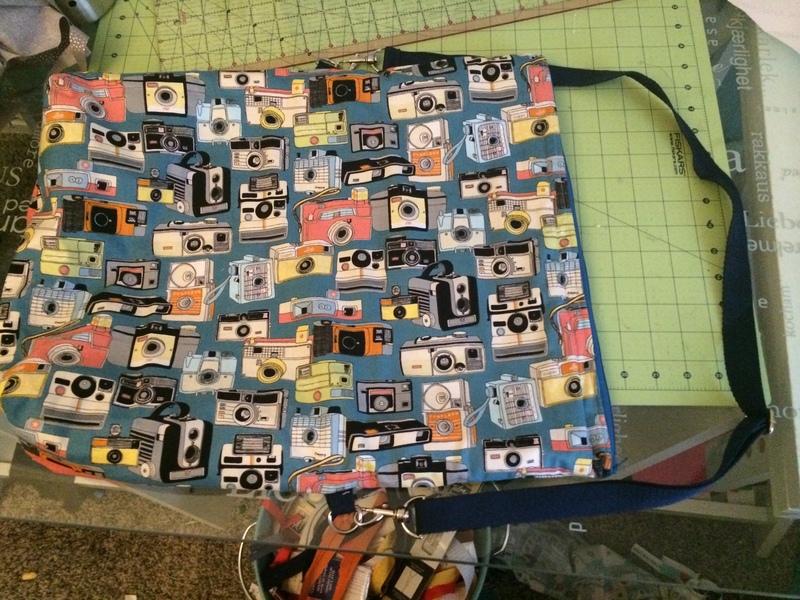 I bought an old bag for $1 and took the straps out! It worked great for this project. I have been using this bag everyday since I made it to drag my gym stuff around. I also use it at work to take books and paperwork. It’s really versatile. Here is it folding the opposite way from the picture above. 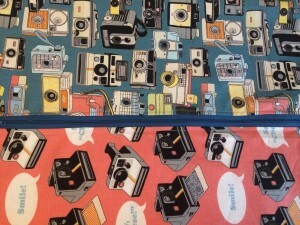 For this project I used Geekly Polaroid Coral and Geekly Camera Blues for the outside and Geekly Swatches Orange for the lining. I used different fabrics for the front and back so that I can have two different looks when folded. I have to say, I have never worked with such fun and vibrant fabric patterns. 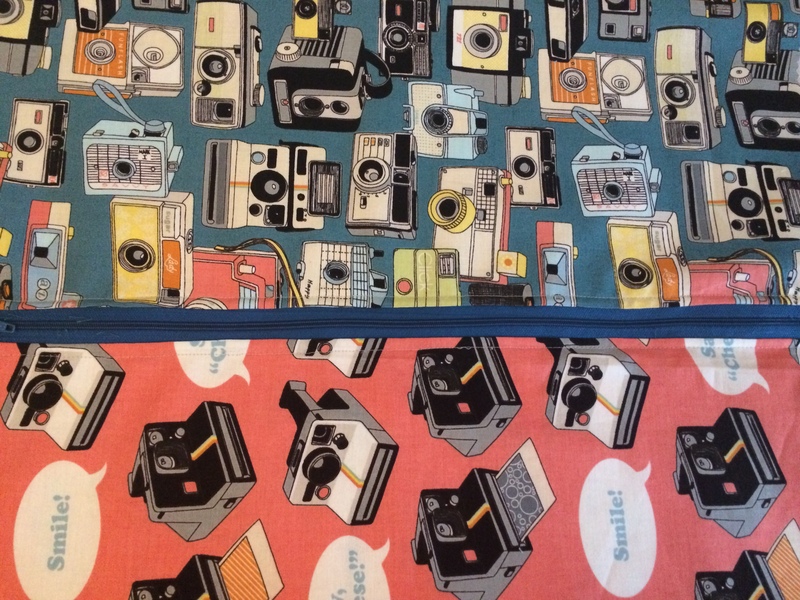 The patterns are really unique and matches well with my geekish personality. 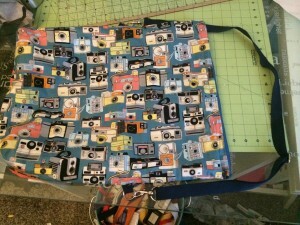 I have received tons of compliments on my fold over bag. I hope you enjoy the tutorial! 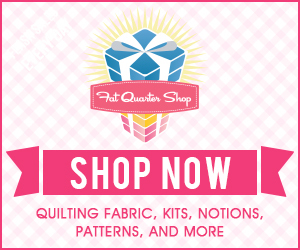 Cut 4 pieces of fabric 17″x20″ and 2 pieces 17″x20″ of fleece interfacing. You will use 2 for the outer and 2 for the lining. 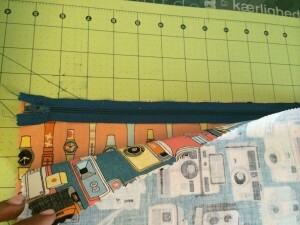 Iron on fleece interfacing to the wrong sides of two lining pieces. 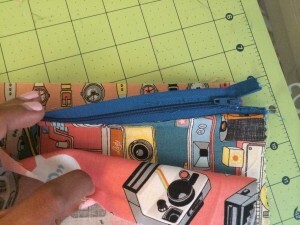 Form a zipper sandwich between the lining, the zipper and the outer fabric. 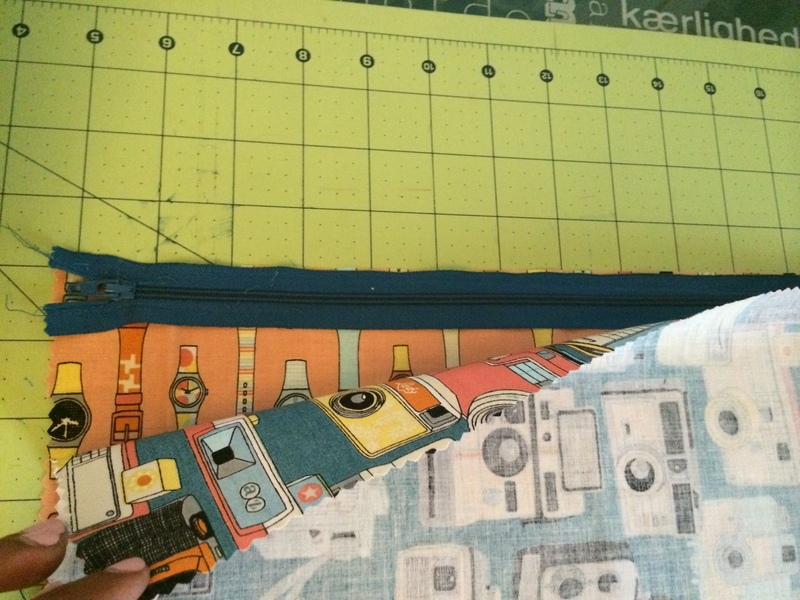 Lay the lining right side up, zipper right side up and outer fabric right side down. Pin and Sew. 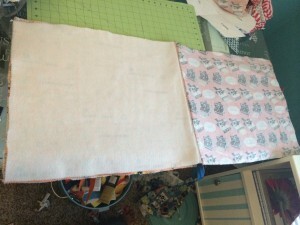 Now, repeat for the other side with the other lining and outer fabric. Iron neatly and top-stitch on top of both sides of the zipper. Open the zipper half way. 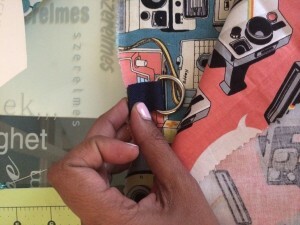 Bring both the lining pieces together and the main pieces together. 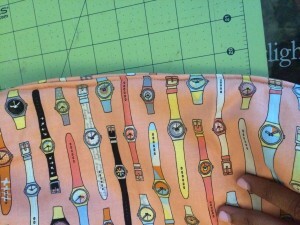 Pin in the buckle and strap about 7″ from the top of the bag on the inner sides of the main pieces. 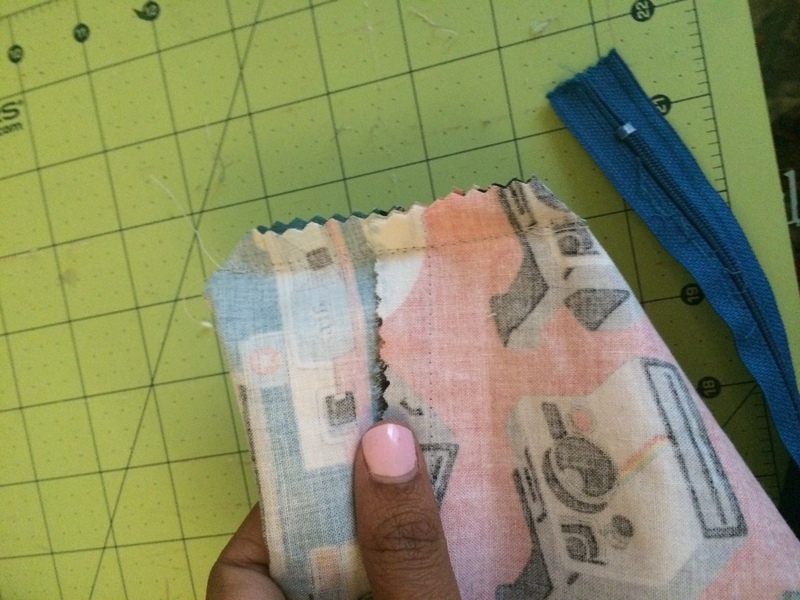 Sew all the way around leaving about 4″ open at the bottom of the lining. 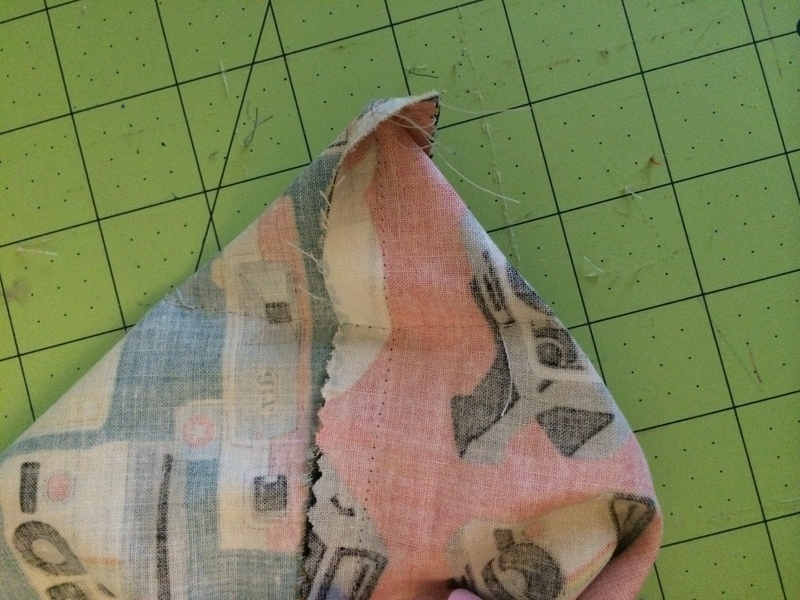 Box off the bottoms of the lining and main pieces by forming triangles on the bottom ends and clipping off the excess. Turn the bag inside out and top-stitch the bottom lining opening. Attached your canvas with clips to the side buckles. That’s it! Thank you for following this tutorial!